Driving at night comes with risks that you wouldn’t normally face during the day. Reduced visibility can lead to slow reaction times and missed cues on the road. Proper maintenance of your vehicle and expert advice can make the necessary improvements for driving safety at night. 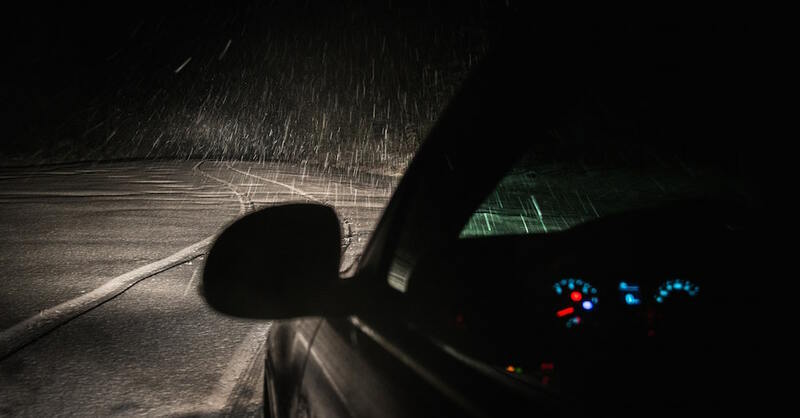 Road safety is of the utmost importance at Henley Honda, so we want to equip you with some tips to stay safe on the road in all conditions, including at night. Headlights naturally dull over time. Headlight maintenance is often a job that doesn’t require professional service. We suggest trying the five-foot test. Simply park your car five feet away from a wall, turn your headlights on and note how the light looks. If the light on the wall is bright and white, your headlights are likely in good condition. However, if the light on the wall is dim and yellow, it may be time to replace them. Headlight maintenance should be a priority. They are essential to your visibility on the road. Even in good weather conditions, dim headlights can be a safety hazard. It’s always a good idea to get a second opinion on your headlights. Our Honda service team at Henley Honda can give you expert advice on keeping your headlights in good condition. You might not notice the effect that poor windshield wipers have on your windshield during the daytime. However, at night, small smudges become a lot more noticeable. These marks on your windshield can obstruct your vision and prevent you from seeing potential hazards. Make sure you have a streak-free windshield by keeping a close eye on your wipers. Use a traditional cleaning wipe to maintain a clear windshield. Our Henley Honda service technicians can help you assess your windshield wipers. You can count on them if you need your wipers replaced. Proper upkeep of your windshield wipers can make a significant improvement in night driving. At night you’re not able to see the things in front of you as quickly or as clearly. If you’re following another vehicle, leave more room in between to give you more reaction time if they suddenly stop. If you’re driving through a neighbourhood or busy street, be aware that pedestrians might be close by. Always be on full alert and make sure you’re driving at a speed that will allow you to avoid any dangerous situations if they come your way. At Henley Honda, we’re happy to answer any questions or concerns about driving safety at night. Our Henley Honda service team can provide you with expert advice and second opinions to help keep you safe on the road.